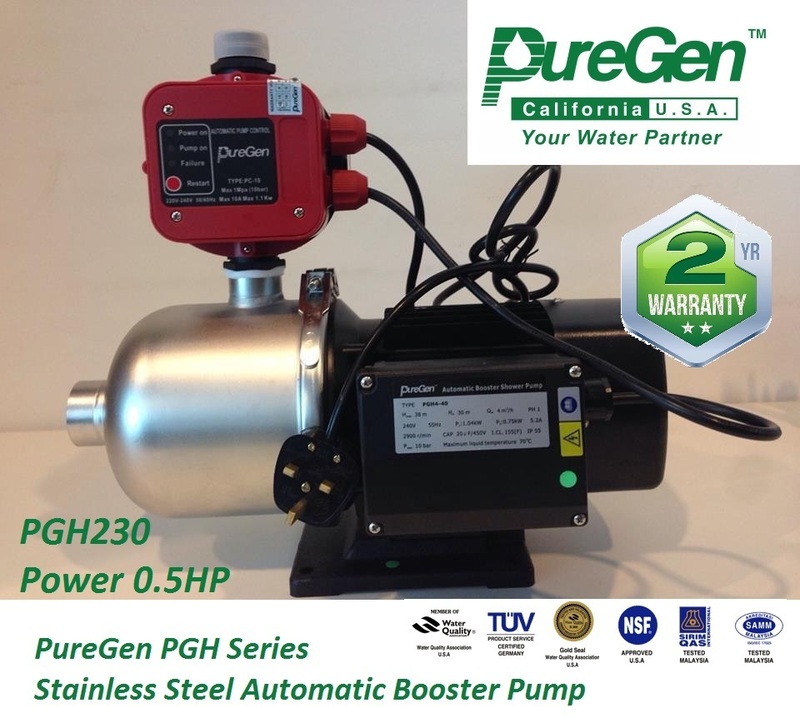 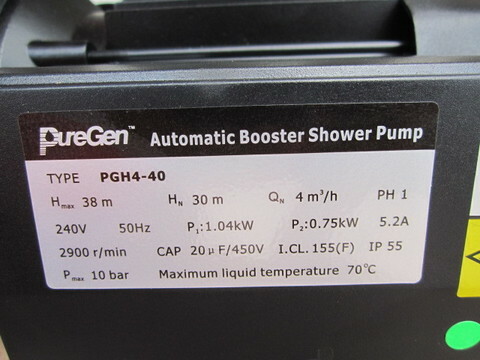 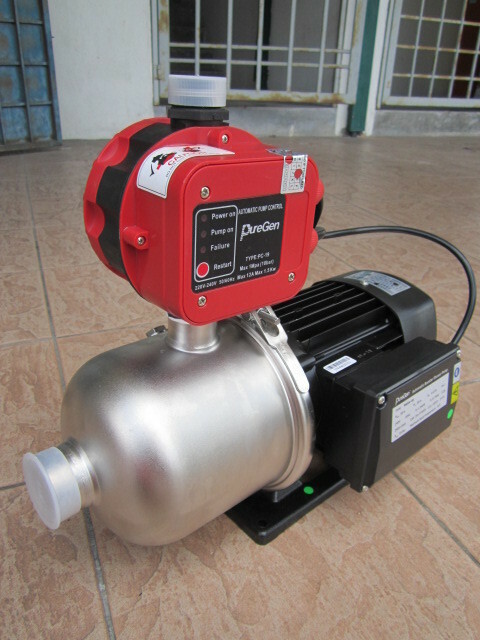 PureGen PGH230 (0.5HP) Auto Stainless Steel Water Booster Pump..
.Smart - A distinctive and reliable controller to start-stop the pump smartly and quietly deliver the water pressure. .Silence - Its design with its distinguished and innovative technology to complete the pump with extremely quiet in operation. 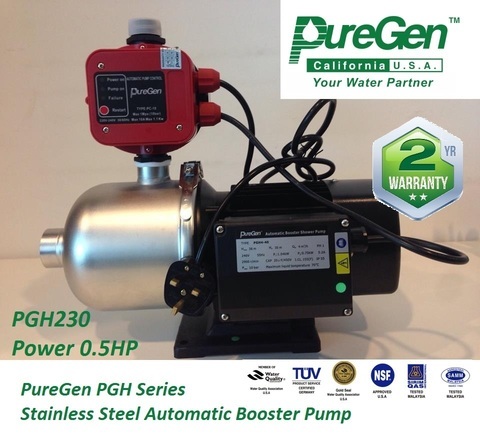 .Stylish - Designed with advance technology with stainless steel materials. 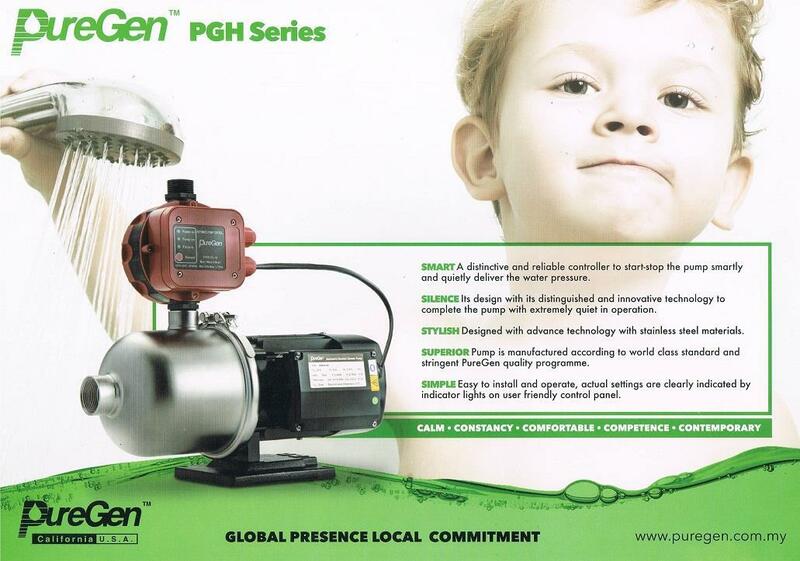 .Superior - Pump is manufactured according to world class standard and stringent PureGen quality programme. 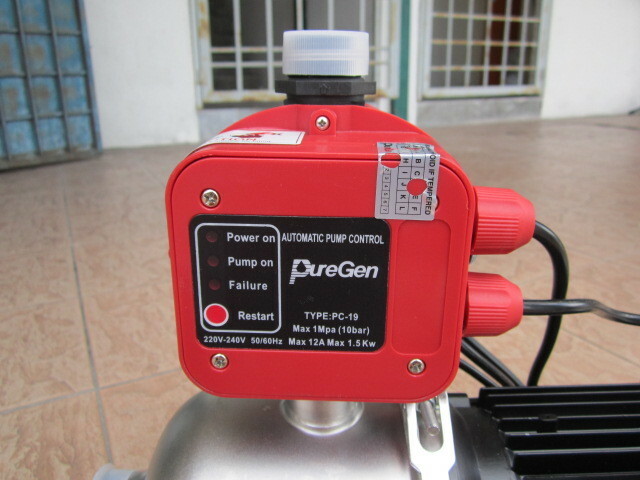 .Simple - Easy to install and operate, actual settings are clearly indicated by indicator lights on user friendly control panel. 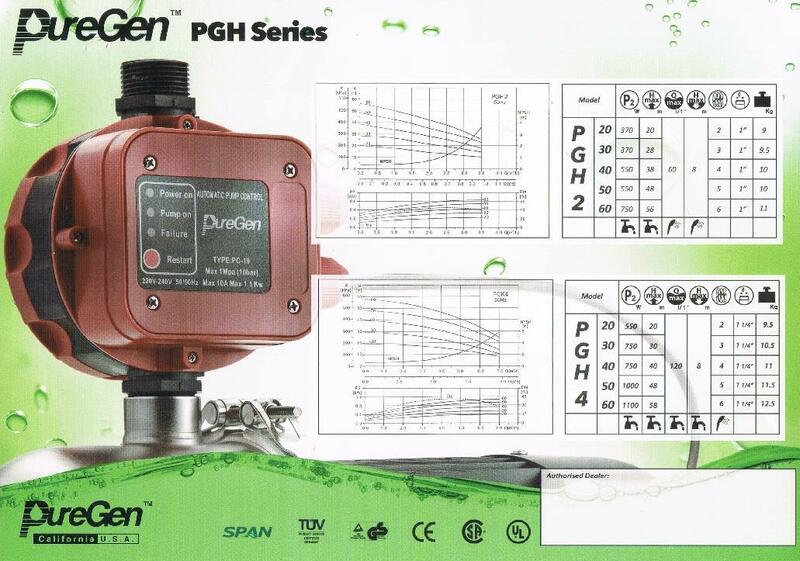 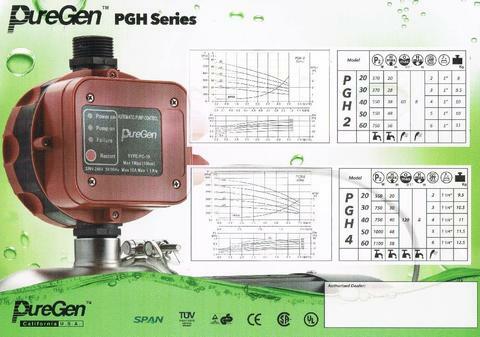 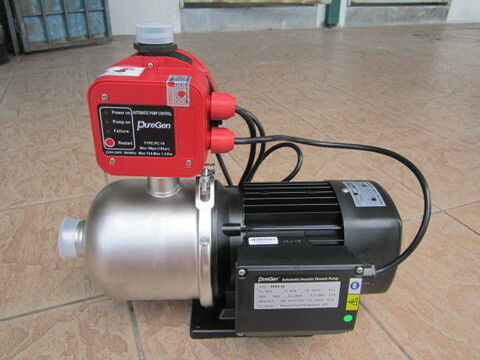 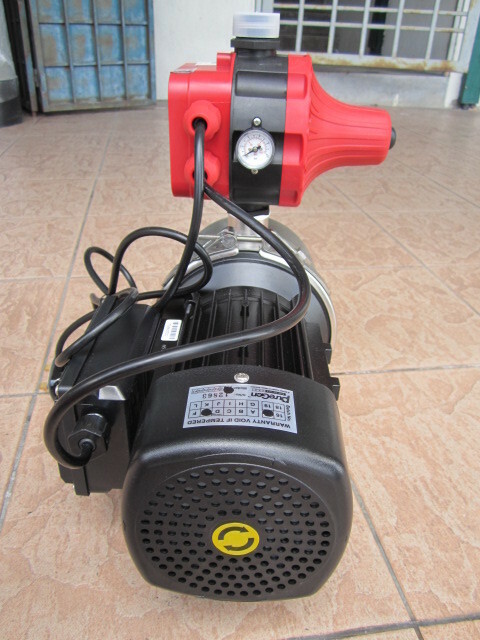 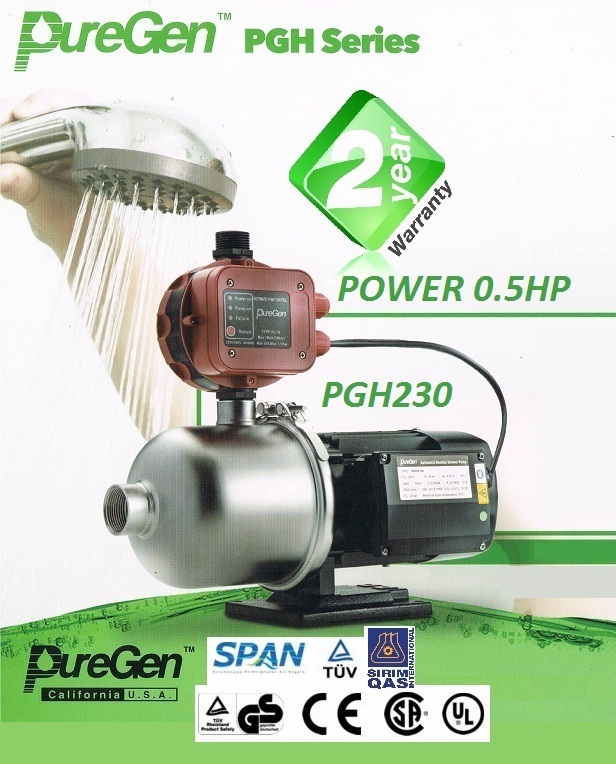 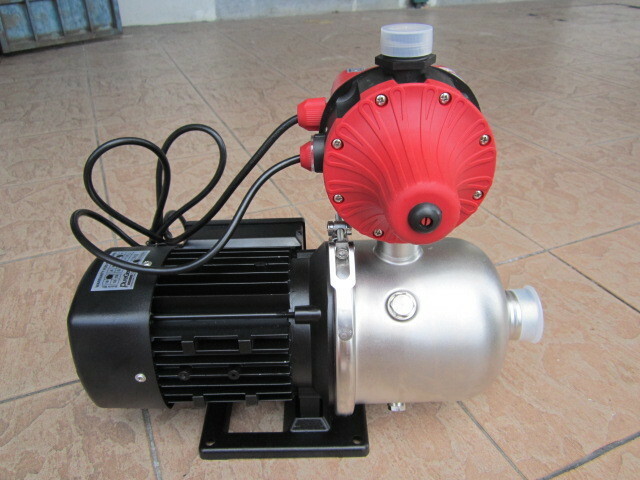 PRICE RM920.00..(PureGen Your Water Partner)..